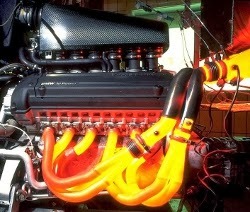 Benefits of using 0W-20 synthetic engine oil. What are the benefits of using 0W-20 synthetic engine oil? More and more cars leave the factory filled with 0W-20 synthetic engine oil, this is in order to meet ever tightening emissions and fuel consumption regulations. In a world that is increasingly aware of pollution and dwindling natural resources, this trend will soon become the norm. How does 0W-20 synthetic engine oil benefit fuel consumption? How does Glycol anti freeze in motor oils damage the engine? 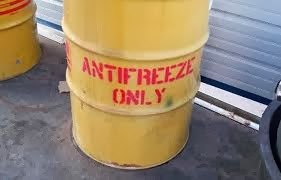 How does Glycol anti freeze in motor oils damage the engine over time? In order to understand how Glycol anti freeze in motor oils damages the engine we need to look at what happens when the engine coolant mixes with the oil. This is not the daily occurance of moisture build up and evaporation that occurs due to the engine warming up and cooling down: We’re talking about substantial contamination over a relatively short time. Not only of water, but several other additives that were never intended to lubricate. Correct lubrication cuts centrifugal pump bearing failure. Correct lubrication cuts centrifugal pump bearing failure, downtime and costs. Downtime to repair failed equipment is costly, that’s why it’s important to understand that correct lubrication cuts centrifugal pump bearing failure and saves your company money. Bearings that are properly lubricated with minimal contamination will operate at lower temperatures with extended life. The Truth About Synthetic Motor Oil That You Need To Hear. The truth about synthetic motor oil might change your mind! In case you though all motor oils were the same you might want to find out the truth about synthetic motor oil and why and when you absolutely have to use this in your engine. Before we even discuss the pro’s and con’s of synthetic oil it’s important to understand that all synthetic oils are not the same. The truth about synthetic motor oil is that not all these oils are man-made.